BEIJING/PARIS (Bloomberg) -- The Chinese government denies media reports linking involvement of its companies in a suspected leak of Renault SA EV secrets. The leak led to the suspension of three executives at the automaker. “The accusations are baseless and irresponsible, and the Chinese side cannot accept them,” Hong Lei, a spokesman for the foreign ministry, told reporters in Beijing on Tuesday. The Chinese government broke its silence after French newspaper reports in the past week said investigations are pointing to possible Chinese involvement. 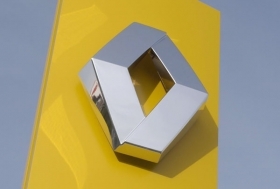 The French newspaper Le Figaro reported on Tuesday that Renault's investigators discovered payments by a Chinese power company into accounts held by two of the executives in Liechtenstein and Switzerland. Caroline De Gezelle, a spokeswoman for Renault, declined to comment on the newspaper's report. Renault has fallen victim to an “organized, international ring,” and while data on vehicle architecture and costs may have been passed to foreign competitors, battery technologies appear not to have been leaked, chief operating officer Patrick Pelata told the French newspaper Le Monde in an interview published on Sunday. Renault and Japanese partner Nissan Motor Co. has invested about 4 billion euros ($5.2 billion) in electric vehicles and batteries. Nissan develops batteries in a venture with NEC Corp. for the Leaf electric car and models planned by its French alliance partner, while South Korea-based LG Chem Ltd. has a contract to supply batteries to Renault to meet demand in excess of the alliance's manufacturing capacity.